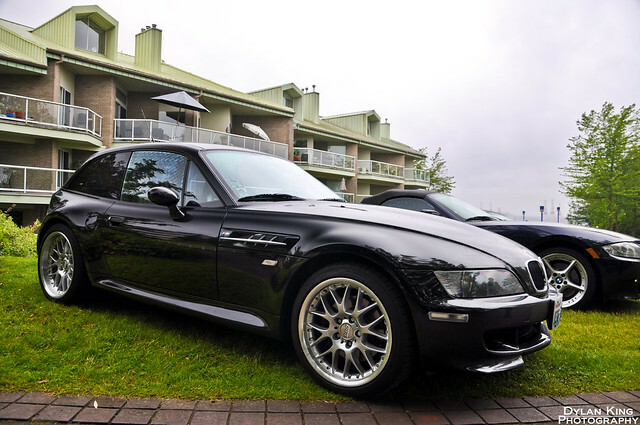 I stumbled across this M Coupe posted on flickr.com by dylankingphotography. The photo was taken in June of 2010 at the German Car Festival in Vancouver. This was the only photo I could find and I’m unable to identify the details of the Coupe from it. 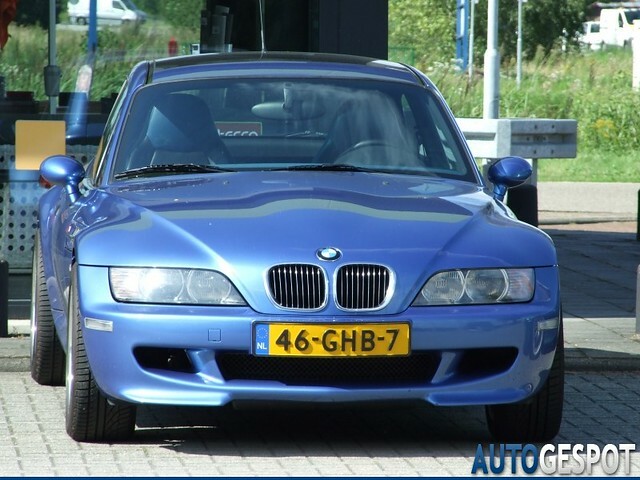 It has a curved M badge on the side grille, which would indicate an S54. However, the badges are easily swapped out. Due to fading of the original badges, this is often done. The kidney grille slats are non-chrome which would lead me to believe that it is a 1999. However, I’ve seen those swapped out a number of times due to the owners preference. The headlights have the chrome trim rings, leading me to believe that it is a 2000+, but again, those could have been swapped out as well. The wheels are BBS RXIIs. It looks like the rear is lower than stock, yet the front seems close to stock height, I’m assuming the Coupe is fitted with H&R/Bilstein sports — as that is the way they typically sit. If you happen to own or recognize this Coupe, please post in the comments.